Maddah has explained in a series of tweets, that this new format will make it easier for the festival to book bands, who have strauggled by the high number of band’s wanting to play in the evening. this new format will allow the organisers to schedule double to amount of evening acts and hopefully attract bigger names to the festival. 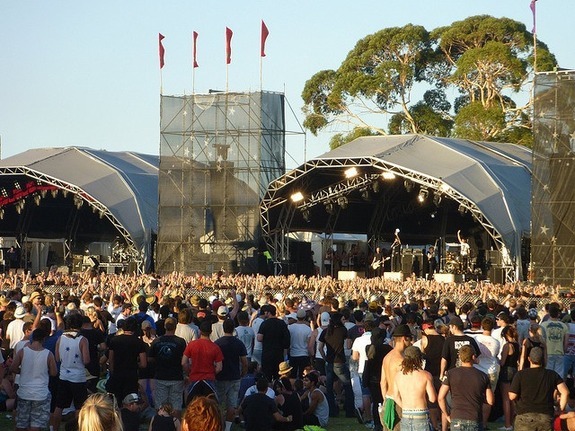 The ticket prices for the new two-day Soundwave 2015 will be $185 (+b/f) – the same price as this year’s edition – while a number of single day tickets, priced at $120 (+b/f), will also be available. Tags: ajmaddah, australia, australiamusicfestival, festival, musicfestival, musicnews, news, soundwave, summerfestival. Bookmark the permalink.